Responsive Design websites are the most effective method for retailers to provide the information and content, consumers are looking for and most importantly when. Consumers these days do much research on products they are interested in. 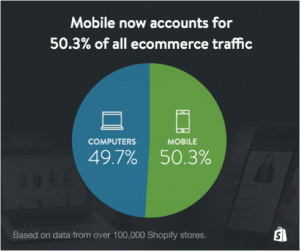 Most importantly, potential customers do this research, as they are mobile. Shoppers that have difficulty seeing a retailers website on mobile devices such as smart phones and tablets, will most likely not bother returning to those websites when they are behind a computer. On the other hand, consumers that are able to view properly a retailers website through mobile devices, most likely will return to those website when behind a computer to purchase them. Google announced earlier this year that on April 21, 2015, their algorithm is changing to incorporate mobile-friendliness (of websites) for rankings. This can significantly impact retail websites and their keyword positions in search engines. Retailers that are not sure if their websites are Responsive Design (mobile-friendly) can use a free Google tool to test their websites. Google uses a simple pass/fail to let users know about their website. Retailers can click here to test websites. Retailers strive to have their customers have a positive experience, when shopping online on their e-commerce websites. 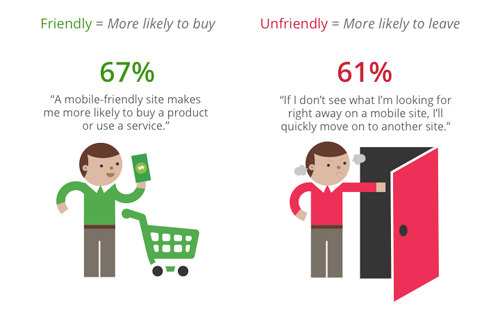 Most brands interact with their customers and potential customer online through their websites. Each visitor develops and image and impression of the brand with each “click”. E-commerce websites benefit the most from Responsive Design. Retailing online has seen the most significant benefits from mobile-friendly website design and development. 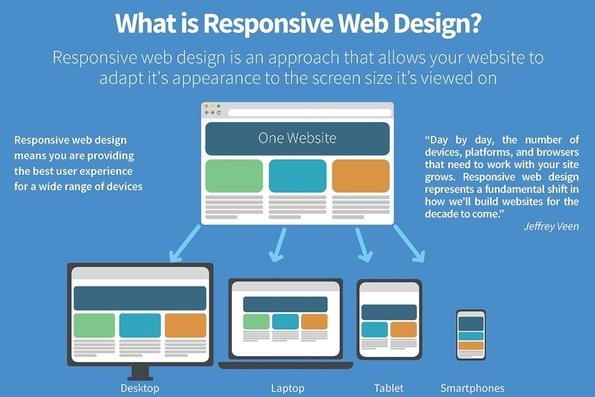 Responsive Design simply means that a website is developed with HTML5 and CSS3 technology, which dynamically renders a website to fit the device it is being rendered on such as a smart phone or tablet. Since 2014, more people access the Internet via mobile devices than computers. Retailers that deploy fully responsive websites often see a decrease in bounce rates, increase in shopping cart conversion rates, improvement in mobile revenue and orders, increase of inbound sales calls, newsletter sign-ups, and improved customer satisfaction. 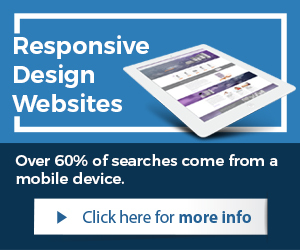 Responsive e-commerce websites are now a requirement. Consumers and search engines such as Google mainly drive this. E-commerce websites that do not have mobile-friendly websites will quickly and drastically start loosing ground in search engine results, which lowers traffic, sales, and profitability. 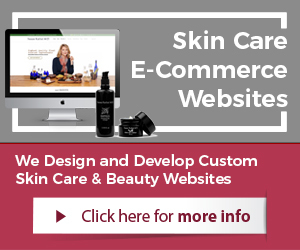 Brands that take advantage now and upgrade their website design, CMS systems, and shopping cart applications to be responsive, can not just stay competitive but also improve sales and profitability. 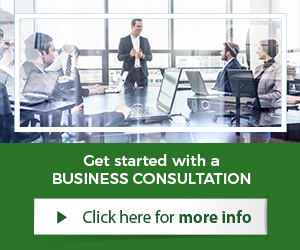 For best results, retailers should hire experienced website design and development agencies or individuals that can execute the necessary work with quality and detail. Industry experience can help as well, when the developer knows the market as well.